Learn the Snap GT Yoyo Trick. Snap GT Yoyo TrickThis trick is called Snap GT, and it looks like this. Snap your fingers, there’s the Green Triangle. 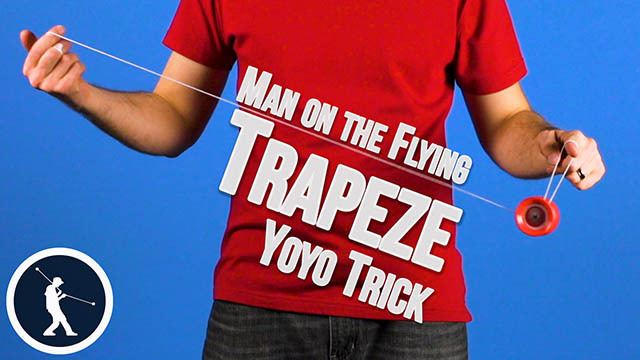 So, to do this trick you want to throw into a Trapeze, then do something a lot like Trapeze and his Brother, except you are going to go behind this string, and land it on your wrist. If you don’t know how to do this you can learn how in our Intro to Green Triangles video. Once you are in this Brother Mount around your wrist, you want to roll the yoyo behind these other strings under your yoyo hand wrist once. You will notice that the yoyo did not touch either of these strings. If you are having a hard time doing this you can try keeping your hands really still, and just swing the yoyo. 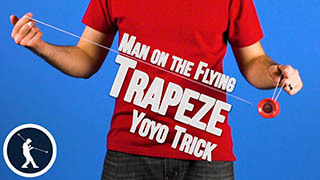 When you roll over, you want to make sure that this string hits the bottom of your yoyo hand. So you will see it is indeed touching the bottom of my yoyo hand. 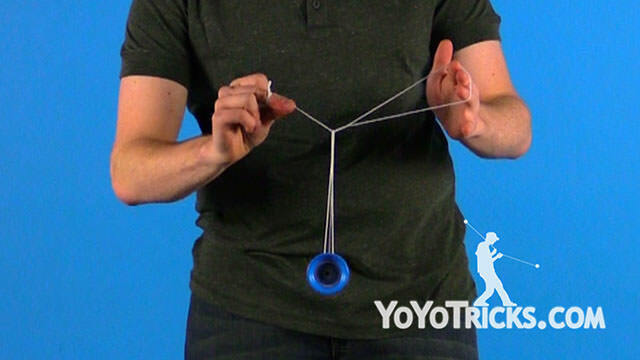 If you hold your opposite hand too far forward, when you roll over this string is going to pass in-front of your yoyo hand and you are going to get a twist here. That is the incorrect mount. Once you are in this formation you are going to want to grab these two strings coming off your opposite hand pointer finger with all your fingers, so just make a fist around those two strings. 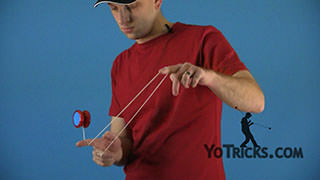 Then you are going to want to point your yoyo hand down until these two strings on the back of your hand drop off. After you have dropped the string off the back of your hand the kink is now half setup. 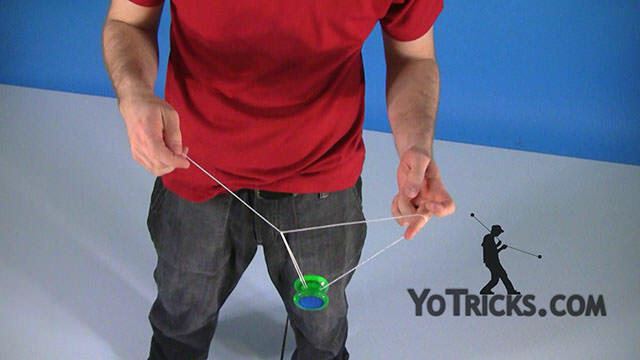 To fully set it up you want to drop this loop coming off your yoyo hand fingers and drop it really carefully. Now the kink is all set up. You want to be careful to not drop the string too aggressively, because that will make the kink come undone and that will make the Green Triangle reveal itself too soon. To setup the Green Triangle you want to curl up your opposite hand pointer finger around once to get rid of the twist. Now the Green Triangle is fully setup. To reveal the Green Triangle, you want to pinch this string between your yoyo finger and your thumb and give it a good hard snap, and that will reveal the Green Triangle. Hop out the back and bind. If you do not know how to snap, instead, once the kink is fully setup, you can give this string a good hard pluck and that will reveal the Green Triangle also. Or, you can simply pop the yoyo up in the air and let it fall and that will reveal the Green Triangle.